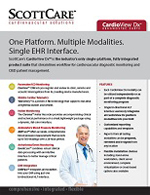 Multi-modality cardiac monitoring suite that needs just one HL7 interface to seamlessly integrate data to your EHR. Utilize these modalities independently or as part of a complete and integrated diagnostic and monitoring program customized by ScottCare. Learn more about CVDx now! 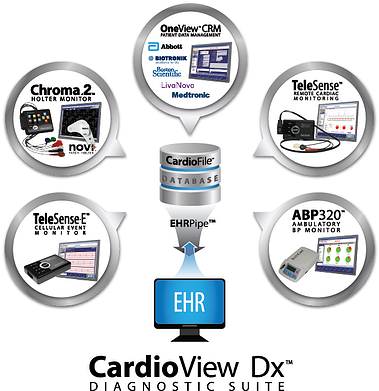 DISCLAIMER: ScottCare, OneView and CardioView Dx are trademarks of The ScottCare Corporation. Abbott is a registered trademark of Abbott Laboratories. BIOTRONIK is a registered trademark of BIOTRONIK SE & Co. KG. 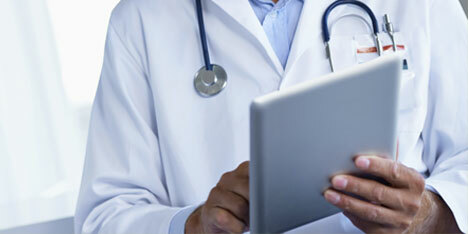 Boston Scientific is a registered trademark of Boston Scientific Corporation. LivaNova is a registered trademark of LivaNova PLC. Medtronic is a registered trademark of Medtronic, Inc. The owners of these trademarks are not affiliated with ScottCare Corporation. 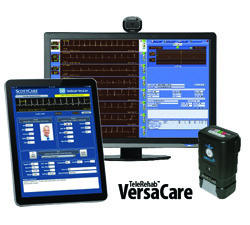 ScottCare’s use of the marks does not imply, and is not intended to imply, that any of the mark owners endorse any product or service of ScottCare.